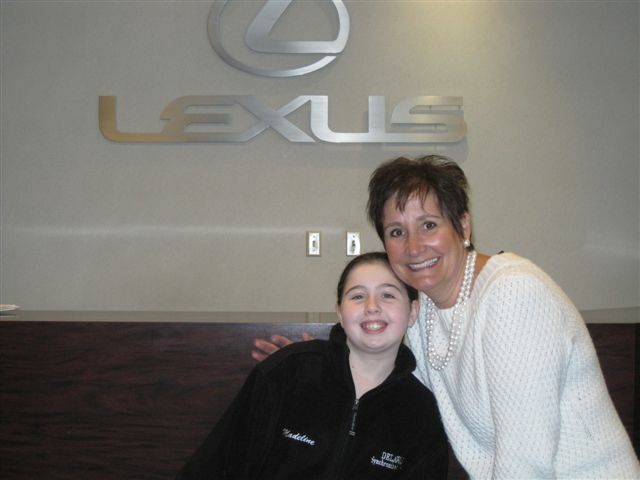 Madeline Tallman, Juvenile Diabetes Research Foundation Youth Ambassador, with Leigh Encarnacion of Lexus of Wilmington. The toughest issues average 11-year-olds face on a daily basis involve choosing an outfit or completing homework. Madeline Tallman is not your average 11-year-old. Koons Lexus of Wilmington, a longtime supporter of the Juvenile Diabetes Research Foundation (JDRF), recently sponsored her as a Youth Ambassador. Madeline, a bubbly sixth-grader, was diagnosed with Type I (Juvenile) diabetes when she was just eight years old. Not one to succumb to her new reality as a diabetic, she almost immediately became involved with JDRF. She was the 2010 Gala ambassador, created a family walk team named “Maddie’s Mob,” and established “Tween Girls”—a group which brings other Type I diabetics together for social events. And Madeline has continued her work to end Type 1 diabetes. She submitted the winning essay out of 25 applicants in Delaware to represent the state as their JDRF Youth Ambassador. As the Ambassador, Madeline will attend the Children’s Congress in Washington, DC in June. Koons Lexus of Wilmington’s contribution to the JDRF will not only help defray Madeline’s cost for the trip, but will also make a concrete impact on the fight to find a cure for this disease. The Lexus Corporation matched the Koons Lexus of Wilmington donation through their Pursuit of Potential program. 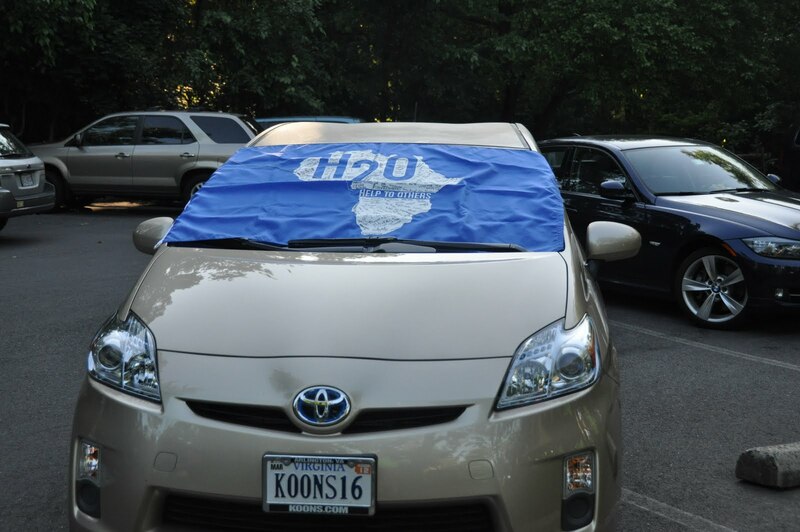 Koons wishes you all the best Madeline and we look forward to hearing about your trip to the Children’s Congress. Project Clean Stream – Project WOW! Project Clean Stream volunteers pause from the clean up for a photo. I’m so proud of our team at Koons Easton Toyota! 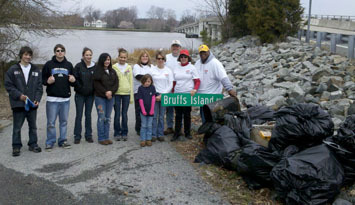 On Saturday, April 2, 2011, employees and family members pitched in to help Project Clean Stream. This is an annual stream and shoreline clean up coordinated by the Alliance for the Chesapeake Bay and partnering watershed organizations. There were 11 volunteers: co-workers, families and friends turned out at the site in Unionville to clean up and remove 23 bags of trash and debris from streams and wooded areas throughout the town. Koons Easton Toyota volunteers included Theresa Griffin, Jill Harrison, Kevin Deshields, Terry Carney, and Liz Disimone. This is the eighth year the Alliance, their partners and sponsors have organized cleanups for the Chesapeake Bay area through Project Clean Stream. In 2010 more than 3600 volunteers helped to remove over 118,000 pounds of trash. This year, clean up was performed at even more sites and will continue on April 9th and 16th. Keeping our streams clean is vital to protecting the Chesapeake Bay – home to thousands of plants, fish, waterfowl – and Maryland’s own Blue Crab. To get involved or for more information on Project Clean Stream click here.